Captioned units(MGW 30,480 KG) can be coordinated from EMCU 3204073 and EISU 3568118. 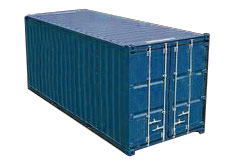 Used for all kinds of general cargo. 39'-5 45/64" 7'-8 19/32" 7'-9 57/64"
67,200 lb 8,820 lb 58,380 lb 7'-8 1/8" 7'-5 3/4"
67,200 lb 9,260 lb 57,940 lb 7'-8 1/8" 8'-5 49/64"
67,200 lb 10,580 lb 56,620 lb 7'-8 1/8" 8'-5 3/4"
67,200 lb 10,858 lb 56,342 lb 7'-8 1/8" 8'-5 3/4"
71,650 lb 10,360 lb 61,290 lb 7'-8" 8'-6"
Captioned units can be coordinated from EISU 802001~EISU 804000. 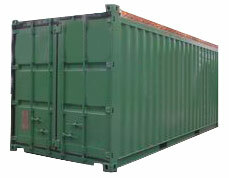 18'- 17/32" 7'-6 15/32" 7'-5 39/54"
Cooling capacity Air exchange rate Type Temp. 37'-11 55/64" 7'-6 15/32" 8'-4 5/32"
38'-1 13/32" 7'-6" 8'-2 23/32"
19'-4 13/64" 7'-8 19/32" 7'-7 11/16"
52,910 lb 5,310 lb 47,600 lb 7'-8 1/4" 7'-4 31/32"
19'-4 4/5" 7'-8 4/5" 7'-8 3/5"
67,200 lb 5,140 lb 62,060 lb 7'-8 3/10" 7'-6"
Captioned units can be coordinated from EISU 460001 to EISU 460400. PurposeCaptioned units can be coordinated from EMCU 760321~EMCU 760520. Captioned units can be coordinated from EISU 750000 to EISU 750300. 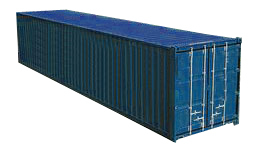 Captioned units can be coordinated from EISU 8010010 to EISU 8010453, and are need for power pack generators equipped on group vessels, not for export or import purpose. Captioned units can be coordinated from EMCU 0000013 to EMCU 0000409. Captioned units can be coordinated from EISU 710000~EISU 710500. UGMU 407001~UGMU 407050 and EISU 400001~EISU 400600. 67,200 lb 9,172 lb 58,028 lb 7'-8 1/8" 8'-5 49/64"
Used for all kinds of garment.